Drink lots of water - from two to three litters per day, even during your exercises. A dehydrated body can block the process of burning fat. In the morning, drink light juices of any flavour, coffee or tea with no sugar. In your pre-training lunch, give preference to a protein shake or some rich in protein food, which can help the body produce better results in your quest for muscles. Those who prefer can drink lean yoghurt without flavour. However, it is not as effective as the protein shake. After training, sweet fruit such as papaya, mango or banana are the best because will help the body recover from the physical exertion. But they are only to be taken after training - and not as dessert. In the lunch and dinner, meat or fish come as a good source of protein. Choose chicken, turkey or lean red meat. If you want to fish or shellfish, there is no restriction - all types are allowed, such as salmon, tuna, prawns, codfish and squid. In the eating salads business, vary the types so it doesn’t get boring, vary the lettuce types, iceberg, smooth or purple, watercress, rocket, chicory, and cabbage, you may include tomatoes, cucumbers and peas at any time. 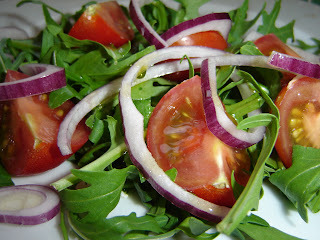 To temper, use a spoonful of olive oil or any light sauce. If you like, you can use lemon juice. At the lunch time, I suggest protein bars for most of the days. As an option you can choose natural yogurt without flavour, small portions of nuts, chestnuts, peanuts or almonds, slices of breast of turkey, white cheese, cheese Flemish light or Mozzarella light. As snack, you can eat a bar of light chocolate, but do not consume this treat every day, only once a week.